This is the by far and away the easiest and quickest way to create your own unique drum sounds. For example, in the all modern MPCs (including the MPC X and MPC Live), simply load up all the snares into memory, go to PROGRAM, select a pad and assign any four snares to that pad via the pad layers function. 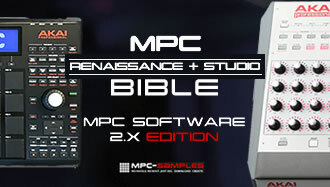 In the MPC2000/XL/3000/60 simply use the SIMULT function. Once you’ve set up a pad with some layered snares, just scroll through the snares in memory until you hit on a combination you like – it’s that easy, each combination works perfectly every time. 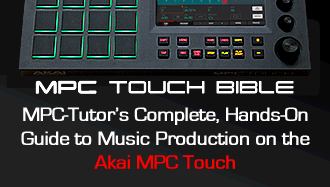 This layered MPC drum kit contains 22 kicks, claps, snares and hats and also comes with an example layered program already set up for you (across 16 pads) – I’ve included versions for all MPCs. Load them up and experiment creating your own unique layers – remember to try combining different instrument types for more unique sounds. The complete ‘Infinity Kit‘ and ‘Infinity Kit 2‘ kits are available from my site, MPC-Samples.com, and each contain 192 clap, snares, hats and kicks (48 of each), as well as 8 layered programs each with 64 pads instantly giving an additional 512 layered MPC sounds immediately, and an endless number once you begin your own experiments! ‘The Reaper’ – A Free Double Bass Expansion For MPCs! THANKS – YOU MAKE IT EASY THANKS, JUST TRYING TO GET BACK INO MY MUSIC I HAVE HUNDREDS RECORDS BUT DON’T HAVE TIME TO SAMPLE THEM . SO THANKS AGAIN BIG E AKA DJ PHATCHILD .